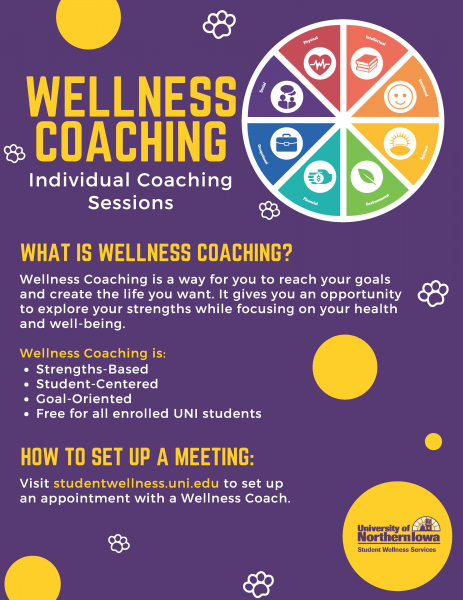 Wellness Coaching is NOW here at UNI!!! Wellness coaching is a free and confidential service available to UNI students that provides opportunities to explore personal strengths and apply them to goals. It takes an appreciative approach to creating the life you want by focusing on possibilities and options. Coaching sessions focus on strengths and opportunities in life. Check Out this Video on Character Strengths-a Must See!